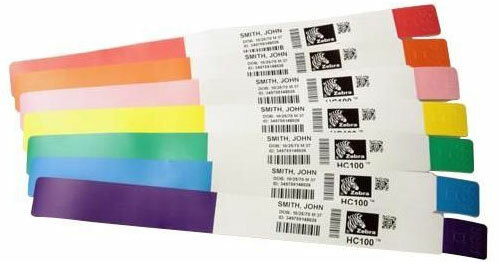 Zebra's award-winning Z-Band Direct wristbands enable automated ID verification for hospitals and other facilities seeking to boost efficiency and accuracy to reduce costly and dangerous errors. Offering ribbon-free printing, Z-Band Direct wristbands meet health care patient ID and safety requirements, including those defined by JCAHO and HIPAA. These latex-free wristbands with special UV coating are waterproof and provide durability with resistance to alcohol, solvents, and mild soaps. The Zebra 10015357K is also known as ZEB-10015357K-CASE	.